The government Commission set up to ‘review’ the operation of the Freedom of Information Act has received 30,000 responses to its call for evidence, its chairman has revealed. 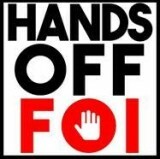 Former Treasury chief Lord Burns had admitted it will “take time” to read the thousands of submissions, many of which were encouraged as part of the #HandsOffFoI campaign launched by the Society of Editors and backed by HTFP and Press Gazette. As reported last week, HoldtheFrontPage submitted its archive of 204 stories on how regional newspapers have used the FoI Act in the public interest. Now the SoE is requesting the chance to give oral evidence to the review, after Lord Burns announced that it will be staging two oral hearings in January. Lord Burns said: “I’m pleased to have received approximately 30,000 submissions of evidence from individuals, campaign groups, journalists and civil society organisations from all over the country. “Furthermore, the Commission has also decided to invite some parties to provide oral evidence. SoE executive director Bob Satchwell said: “Hopefully after 30,000 submissions they have dropped the ill-advised idea of charging for requests and trying to make it more difficult to make one. The Commission, made up largely of opponents and sceptics of FoI, is thought to want to water-down the current legislation by introducing charges for requests and more exemptions. The Society’s own submission can be read in full here.